Received Payment 0.31 USD from account U15208077 to account U7770124. Batch: 189677834. Memo: API Payment. Payment from Asteris.pro. 07.10.17 09:44 Receive Received Payment 0.32 USD from account U15208077 to account U7770124. Batch: 190618374. Memo: API Payment. Payment from Asteris.pro. 11.10.17 18:29 Receive Received Payment 0.54 USD from account U15208077 to account U7770124. Batch: 191053834. Memo: API Payment. Payment from Asteris.pro. 16.10.17 18:05 Receive Received Payment 0.37 USD from account U15208077 to account U7770124. Batch: 191538856. Memo: API Payment. 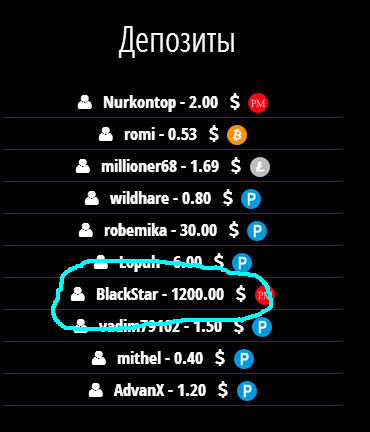 Payment from Asteris.pro.